As you can see, we are based in Burnley, Lancashire. A great deal of our work is via 'word of mouth' recommendation; which of course is the best assurance for new customers. We have many satisfied customers in all local areas surrounding our base but also have the capability to install throughout the North-West region. So - if you are visiting this website but don't have that kind of personal reference to guide you - we think it's important that you have the assurance of knowing not only who we are...but also where we are. That's why - in addition to Steve's direct mobile number for convenience - we don't hesitate to show our full office location and a permanent landline number. Does your postcode start with BB? If so, then maybe it's important for you to know that we are the only DGCOS certified installer in your area. 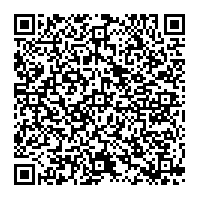 Quickly and easily add all our contact details straight to your smartphone by scanning the QR code below.